performer flips the card down, then up again, a birthday cake is there on a plate. for the professional use. This certainly is a tool for everyone from beginner to professional. Find your own way and perform fancy. 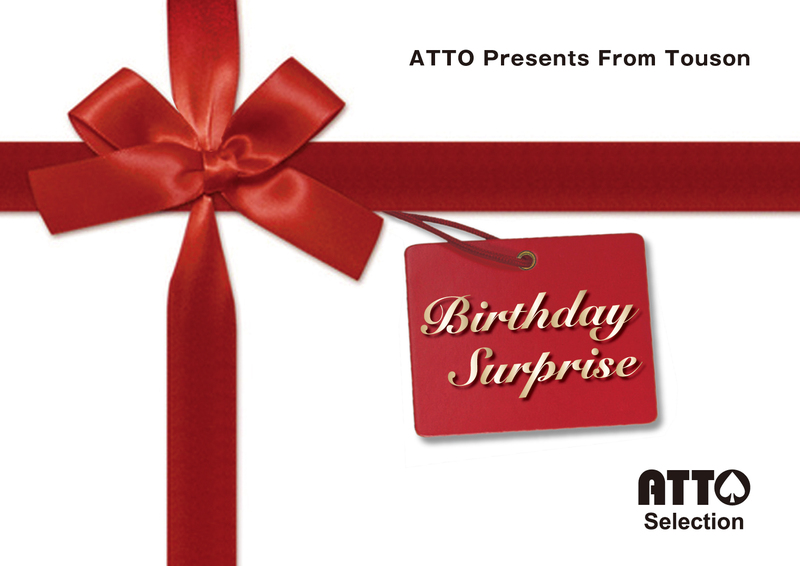 Tell your feelings on the special person’s birthday with Birthday Surprise. This product contents an original 3D gaff card and a basic instructional notes only. A Bicycle Rider back is required for a demonstration. copyright©2015 Masuda's item-ATTO all rights reserved.